Interns at the AHRC or its sister organisation the ALRC typically support a country or programme desk through case documentation, research and communication assistance. 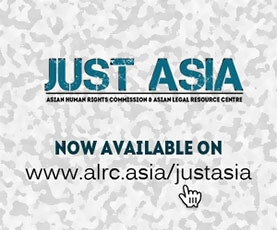 The AHRC approaches its partner organisations in Asia with which it has a close and long term working relationship and discusses the selection of interns from those organisations. The available internship placements are normally limited to one internship per country per year at this point. Internships for persons from the partner organisations are given priority. For these persons, the AHRC provides accommodation and support while in Hong Kong. Arrangements for the duration of stay are flexible, but usually the period is 3-4 months. Other persons interested in an internship with the AHRC may also apply under the following conditions. The applicant should stay for a minimum period of six months. The AHRC does not provide any financial support or accommodation for these persons. Interns with a strong legal background, country experience and a strong interest in human rights are preferred. Applications are judged on their individual merits and according to the needs of the AHRC at the time. Interns must also be prepared to accept assignments to countries in the region with difficult human rights conditions. The number of such self-supported internships are limited to a very few placements per year. We receive many more applications than we can accept and we may not be able to respond to all applications. Only complete applications will be assessed. The AHRC may request further information or documents by email later if necessary. Self supported internships can be submitted as stated above through our Contact Us page. In the box marked “Select Department” choose “Internship Inquiry”. Please note that all persons coming to the AHRC as interns are required to obtain the appropriate Training Visa from the Immigration Department of Hong Kong before arrival. This visa usually takes around three months to obtain and will be sponsored by the AHRC or its sister organisation the ALRC. Additionally, the AHRC welcomes short-term researchers (for less than one month) at any time, at its discretion. Short-term researchers must have a specific research question and intended result from their time in Hong Kong that has been approved in advance by the AHRC and that has a demonstrated connection both to their own area of professional activity or interest and that of the AHRC. For further inquiries please go to the Contact Us page and in the box marked “Select Department” choose “Internship Inquiry”.